Today I have a great book excerpt from author Milt Toby’s novel, Noor. Read on for more info. Noor was the best horse no one remembered—until now. He defeated Triple Crown winner Citation four times, set three world records, and should have been Horse of the Year, but he was forgotten until an avid racing fan led a campaign to locate Noor’s unmarked grave and move the horse’s remains to Kentucky for reburial. A few minutes after sunrise on a foggy West Texas highway, a Greyhound bus piloted by a substitute driver rushing to make up lost time slammed head-on into an automobile driven by golfer Ben Hogan. In the split second before impact, Hogan flung himself across the passenger seat to protect his wife, Valerie. The instinctive decision saved Hogan’s life, but the Cadillac was demolished in the collision, and the golfer sustained serious injuries. Complications set in early on, and for a time it was not at all clear whether Hogan would ever play golf again. The year was 1949, and one of the world’s best golfers was out of action for the foreseeable future, maybe forever. Another sports icon of postwar America, the Thoroughbred racehorse Citation, Triple Crown winner and Horse of the Year, already was on the sidelines at the time of Hogan’s accident. After winning the 1948 Pimlico Special in a walkover when no other trainer could be enticed to run a horse against him, Citation was shipped to California to prepare for an assault the next year on two major records. Stymie’s career earnings mark of $918,485 was the first objective. Becoming Thoroughbred racing’s first millionaire was the second. Achieving either goal was far from a sure thing, even for a stellar horse like Citation, but neither objective was outside the realm of possibility. California tracks offered more than their share of lucrative opportunities, including the rich Santa Anita Handicap and the Hollywood Gold Cup. For a stable with Calumet’s history of winning just about everything in sight, along with the general prejudice held against West Coast horses by the eastern elite, the rich California purses must have looked like low-hanging fruit, ready to be picked. As often happens, things didn’t go exactly as planned. Citation was coming off a hard three-year-old campaign, but he appeared to be fit and sound and ready to race when trainer Jimmy Jones and the Calumet string arrived in California. Rather than give the colt some time off, which he probably needed, Jones accepted an unexpected invitation from a close friend, Gene Mori, to run Citation in the 1948 Tanforan Handicap. Mori recently had purchased the Tanforan track, and he needed a box office draw for the Northern California track’s premier event. It would be a tuneup for racing at Santa Anita and quick money for Citation. The Calumet colt fit the bill perfectly, Jones thought, and the winner’s share of the purse would move Citation even closer to Stymie in the money race. He said OK.
Citation dutifully won a prep race in the mud on December 3 (his fourteenth consecutive win) and the Tanforan Handicap by five lengths a little over a week later (number fifteen in a row, as expected). The victories boosted Citation’s earnings for the year to a record $709,470, but there was a hefty price to pay. The colt soon developed an osselet—a seriously enlarged joint—in his left front ankle. The stress injury was treated, and Citation was put away for all of the 1949 season. “We went to the well once too often,” Jones lamented afterward. Citation’s career earnings totaled $865,150, tantalizingly close to Stymie’s mark of $918,485. But with the Calumet star out of action, Stymie’s earnings record was safe for a while longer. The year-long layoffs imposed on Hogan and Citation by their injuries set up 1950 as a much-anticipated year for comebacks. One turned out better than anyone could have predicted given the long odds against a successful return; the other, not so much. Ben Hogan returned to competitive golf in January 1950, finishing second to Sam Snead in a playoff for the Los Angeles Open. Five months later, at the historic Merion Golf Club outside Philadelphia, Hogan put the crowning touches on his miraculous comeback, finishing tied for the lead in the U.S. Open after seventy-two holes and winning in an eighteen-hole playoff the next day. Hogan managed the exhausting feat on legs swathed in elastic bandages, walking eighteen holes on Thursday, eighteen holes on Friday, thirty-six holes on Saturday and an added eighteen holes in the Sunday playoff. His legion of fans was ecstatic, and any doubts about the Hogan legend were erased. Citation didn’t fare so well. He won a six-furlong allowance race at Santa Anita his first time out in more than a year, on January 11, 1950, for his sixteenth consecutive victory. Factoring in Citation’s year-long layoff in 1949, the Calumet star hadn’t been defeated since April 1948. The streak was broken two weeks later when Citation unexpectedly lost a six-furlong handicap to Miche. The race was aptly named the La Sopresa Handicap (Spanish for “the surprise”), and Jimmy Jones attributed the loss to the 16-pound spread in weight carried by Citation (130 pounds) and Miche (114). “Weight brings horses together,” Jones said after the race. It would become a common lament for Citation’s supporters during the next few months. Citation lost to stablemate Ponder in his next race, the San Antonio Handicap. It was the first time the horse ever lost two races in a row, and the defeat was a harbinger of things to come. Jones next saddled Citation for the rich Santa Anita Handicap, a $100,000 race that had been one of Calumet’s principal goals for the horse before the injury in 1948. The Big ’Cap is where the wheels really came off the Calumet express. Noor, an Irish-bred, English-foaled horse owned by Charles S. Howard, upset Citation in the Santa Anita Handicap and then handed the Calumet star three more defeats, in the San Juan Capistrano, Forty Niners’ and Golden Gate Handicaps. The handsome Irish import set three world records in the process, and by summer, Noor had established his credentials as the best handicap horse—maybe the best horse in any division—in the country. Unable to beat Noor, Citation was shipped east. He already had eclipsed Stymie’s career earnings mark, and he became racing’s first million-dollar winner in 1951. Noor was retired from racing after winning the richest race of the year, the $100,000 Hollywood Gold Cup, in December 1950. He clearly was the year’s best older horse and arguably would have been named Horse of the Year if the Gold Cup had been run before the championship voting was conducted instead of afterward. The Hollywood Gold Cup had probably the strongest field of any race that year. Among the horses Noor defeated in that race was Hill Prince, the year’s champion three-year-old male and overall winner on Horse of the Year ballots. Milt Toby is an author, photographer, and attorney with a lifelong involvement in the horse industry. He has been writing professionally about horses since 1972, first as a staff writer for The Blood-Horse magazine and since 1984 as a freelancer for a number of publications. His photographs have appeared on more than 125 covers of The Blood-Horse and in numerous other publications, from Asiaweek and Insight, to Soldier of Fortune. Milt’s equine law blog, Horses and the Law, was a popular staple at http://www.thehorse.com/ for three years, and he also contributed a monthly equine law column to the Paint Horse Journal. 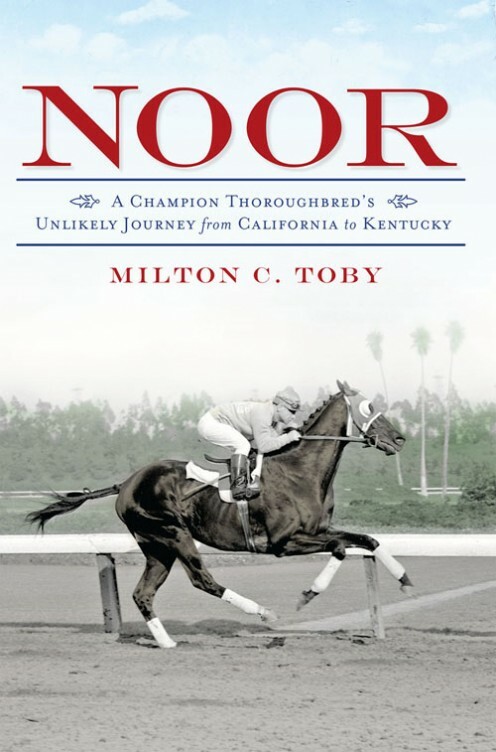 He is author of seven books, including Noor: A Champion Thoroughbred’s Unlikely Journey from California to Kentucky, and national award winner Dancer’s Image: The Forgotten Story of the 1968 Kentucky Derby. His earlier books include The Complete Equine Legal and Business Handbook (used as a textbook in several college undergraduate equine law courses) and Ruffian (part of Eclipse Press’s Legends series). 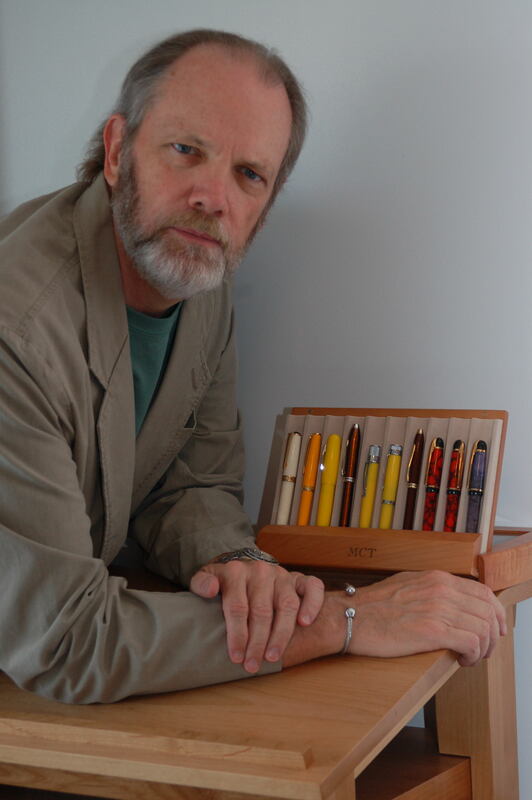 Milt serves as Chair of the Contracts & Conflicts Committee for the American Society of Journalists and Authors, which reviews and interprets publishing contracts for writers, and he is a frequent speaker on contract and copyright issues for authors. He is on the Board of Directors of American Horse Publications and the Scott County Humane Society and served as Chair of the Kentucky Bar Association’s Equine Law Section. Milt’s wife, Dr. Roberta Dwyer, is an equine veterinarian at the University of Kentucky’s Gluck Equine Research Center. Milt has visited race tracks on six continents, and has lost money betting almost everywhere. Thank you for hosting Milt on his tour!